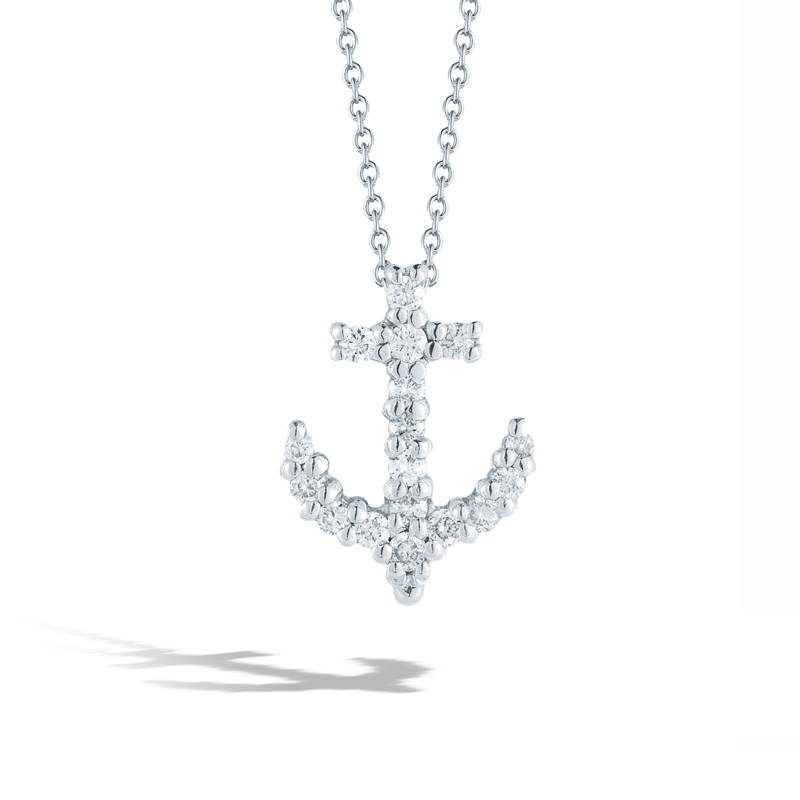 She'll be the best first mate ever when she sports this fabulous pendant necklace from the Tiny Treasures collection by Roberto Coin. 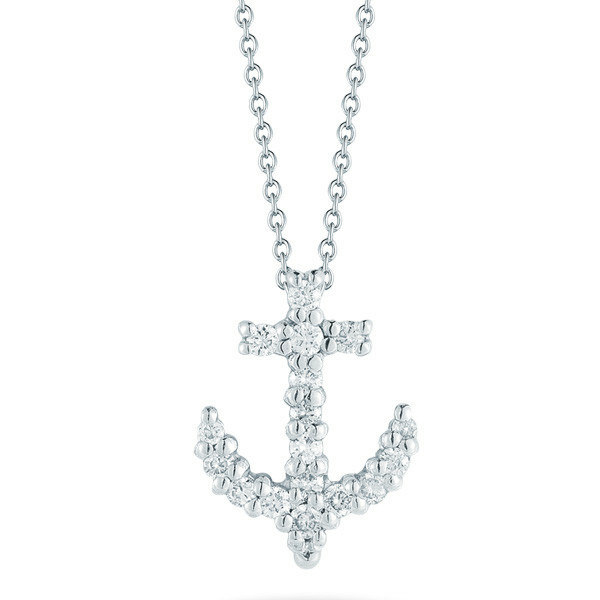 A miniature anchor, crafted in 18kt white gold, is encrusted with sparkling white diamonds. 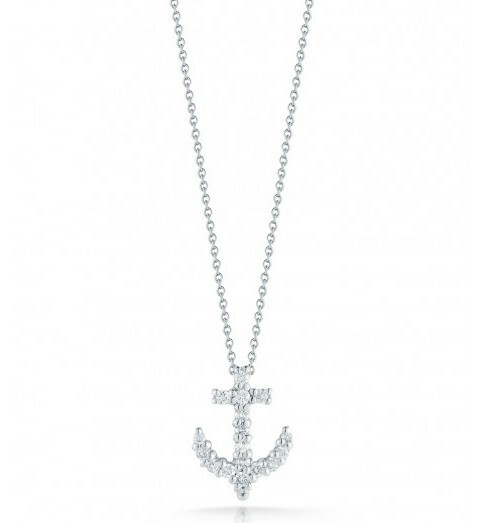 The piece floats blissfully on a matching adjustable chain. 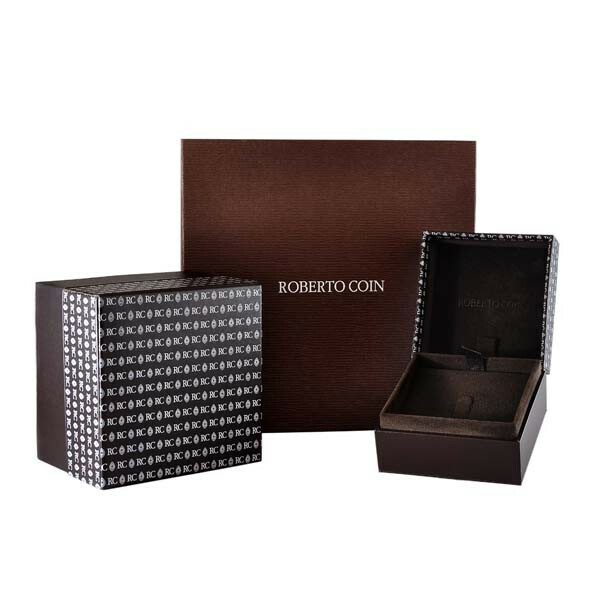 You may be the captain of the ship, but you'll become the captain of her heart with this adorable Roberto Coin piece!